Kissing brings people closer, we can express so many emotions through a kiss, such as love, affection, a sexual tension or simple daily greetings. We thought it would be interesting to share with you some interesting facts about kissing that are backed by science. Men who kiss their partner in the morning live five years longer than the ones who do not. Dr. Arthur Sazbo revealed in his study that those who kiss their spouse each morning, earn 20 to 30% more monthly and live about five years more than those who do not exchange a kiss. The reason for this is beyond the actual kiss, as explained by Dr. Arthur Sazbo. Kissers begin the day with a positive attitude and it is believed that those who do not experience it, leave the house with a lack of confidence and fulfilment. In human anatomy, the orbicularis oris muscle is a complex of muscles in the lips that encircles the mouth and that allows the lips to kiss. In the case of a French kiss, you would be involving all 34 muscles in the face. Kissing burns anywhere between 2 and 26 calories per minute, depending on how passionately you kiss. It can even boost your metabolism, you must wonder how! Simply by planting a surprise kiss briefly you can increase your heart rate due to the rush and surprise, speeding up blood flow which leads to a faster metabolism. 90% of the world population kisses. However, the remaining 10% do not for several and various reasons. In Sudan for instance it is believed that the mouth is the portal to the soul, so they do not want their spirit to be taken. In some religions and societies it is extremely taboo to kiss, even in movies. You can also find people kissing differently such as eskimos, Polynesians and Malaysians, who bump noses together instead of lips. Kissing helps you protect your teeth, the act of kissing stimulates your salivary glands to produce saliva, the fluid that moistens the mouth to make swallowing easier. Saliva also helps remove cavity-causing particles that stick in your teeth after eating. Kissing might not prevent from visiting the dentist, but it surely can’t hurt. 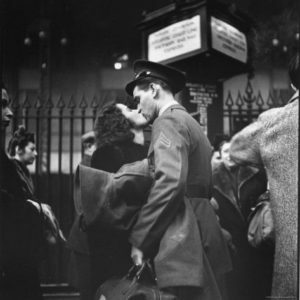 The French kissing came from British and American soldiers returning home from Europe after World War I, who greeted their wives and girlfriends as they observed the sexually adventourous French soldiers kissing lustly and passionately.